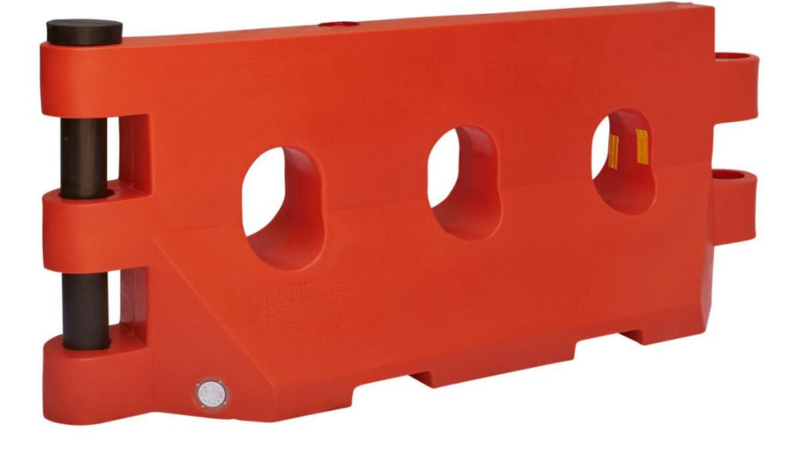 Our barriers are manufactured from UV Stabilised Polyethylene and come in white and orange. They are easy to lift and manoeuvre when they are empty, weighing 32kg. When they are full they weigh 330kgs making them sturdy and strong against high impact crashes. The barriers allow pedestrians a level of safety and peace of mind. They can be perfectly utilised at events as gates or barricades and are also widely used in car parks, road closures, construction sites, temporary work zones, school zones or grounds, shopping centres, security/defence spaces and in or around government buildings.